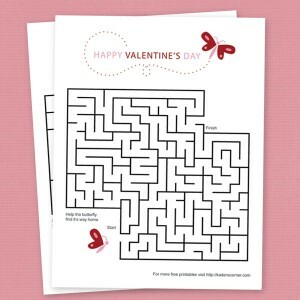 This Valentine's Day maze is such fun. It has cute little butterflies and the words "Happy Valentine's Day" We created in on the Discovery Education site. Then we added the title and butterflies. 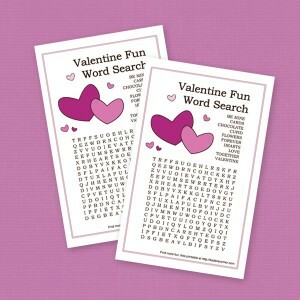 This would be a great Valentine's Day party class project! Here is another fun little word search for you. This time we made a list of Valentine's Day related words and again used it to make our own word search at the Discovery Education site. Then we added a few hearts to make it extra special. Creating Valentine's bracelets was such a fun project. My daughter had to make some for all of her favorite stuffed animals. 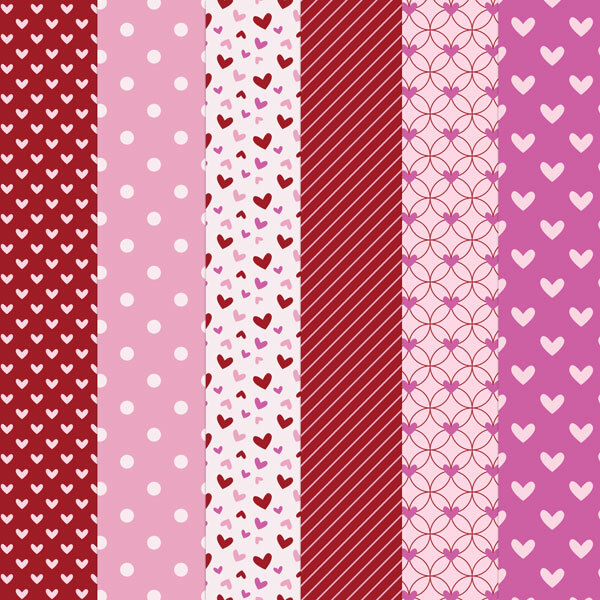 Each easy print PDF file contains 8 Valentine bracelets. Each one is different. 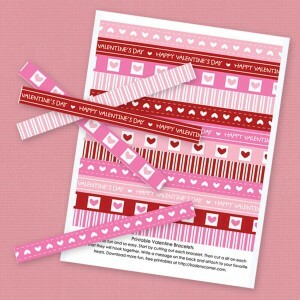 All you need to do is print and cut out each Valentine bracelet. You can make them stay together by cutting alternating slits in each side of the bracelet that will fit together or use tape. Our littlest one is currently obsessed with trains. I origami designed these trains for a scrapbook page for him, but thought they would make perfect Valentine Cards. 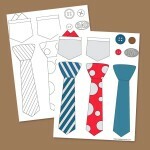 These Valentines come in two colors - pink and blue, and two sizes - small and medium. 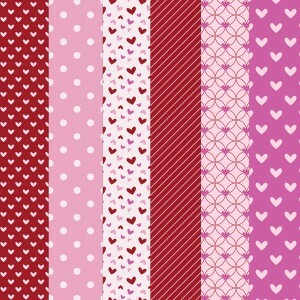 The small easy print sheet comes with 12 Choo-Choo Train Valentines that will measure about 2.5 in x 2.5 in when cut out. 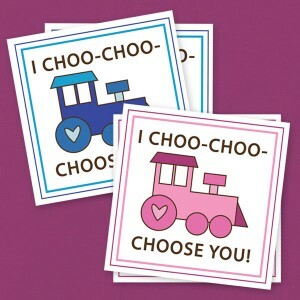 The medium set comes with 6 Choo-Choo Train Valentines that measure about 3.5 in x 3.5 when cut out. Each free Choo-Choo Train Valentine set comes as a 2 page 8.5 in x 11 in easy print PDF file. The first page is the font of your Valentine with the message "I Choo-Choo Choose You" and the second page can be the back of your Valentine with the words "Happy Valentine's Day" and spot to put To: and From: where you can fill in your name. To use both first print page one then flip the page over, put back in you print and print page two. I ready the saying "You Make My Hear Flutter" on a Valentine Card recently and just had to create a cute little butterfly to with it! 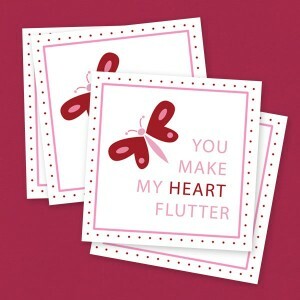 These Butterfly Valentines come in two sizes - small and medium. The small easy print sheet comes with 12 Butterfly Valentines that will measure about 2.5 in x 2.5 in when cut out. The medium set comes with 6 Butterfly Valentines that measure about 3.5 in x 3.5 when cut out. Each free Butterfly Valentine set comes as a 2 page 8.5 in x 11 in easy print PDF file. The first page is the front of your Valentine with the message "You Make My Heart Flutter" and a butterfly made of hears and the second page can be the back of your Valentine with the words "Happy Valentine's Day" and spot to put To: and From: where you can fill in your name. To use both first print page one then flip the page over, put back in you print and print page two. I love Valentine's Day, but honestly sometimes I get sick of sending cheesy commercial licensed kid's Valentines from the store. 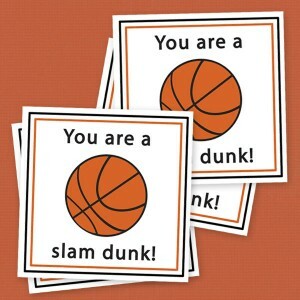 On the other hand there is no way I have time to create custom hand made cards for 30 kids in a class. What I do have time to do is print out a few pages of cute, free printable little Valentine's cards, cut them out and send them off. This year I'm working to create some really fun options for you to print as well. Below you will see we have free printable Choo-Choo Train Valentines, adorable free printable Butterfly Valentines, and I'm still working on a set of free, super scary Little Monster and robot Valentines.